A prominent studio boss has responded to suggestions by Australia's Communications Minister that copyright holders need to sue to get their message across. Rejecting such a path as "ineffective", Village Roadshow co-CEO Graham Burke says his company does not want to "sue 16 year olds or mums and dads." As the discussions over online piracy heat up in Australia, there’s an interesting situation developing which provides insight into why agreement on the topic has been so difficult to reach. Not only has the chasm between some of the key ISPs and rightsholders remained large, but even those expected to be on the same page have been showing signs of division. The two key government ministers in the debate, Malcolm Turnbull and George Brandis, last week contradicted each other over who should pick up the tab for any online piracy scheme. But if Turnbull thought he was only at odds with Brandis, he’s now been shown as out of touch when it comes to rightsholders. 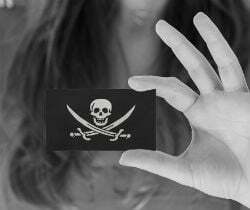 The minister recently said that if rightsholders want to send a message that they’re serious over piracy, they need to strategically sue a few people – “moms and dads and students”. As expected the comments weren’t well received by the public, but now the very people Turnbull said should take action have dismissed the idea as unworkable. Speaking with Fairfax Media, Village Roadshow chief Graham Burke said that suing people only makes lawyers rich, but above all it simply doesn’t work. “We don’t want to sue 16-year-olds or mums and dads. It takes 18 months to go through the courts and all that does is make lawyers rich and clog the court system. It’s not effective,” Burke said. Village Roadshow famously dragged local ISP iiNet through the courts for many years over the issue of service provider liability. They not only lost that case, but also sparked a rift between rightsholders and iiNet that continues today, often being played out in public. Still, at some point all sides will have to come to the table. Despite the disputes, Burke and Turnbull are on the same page when it comes to ISPs being involved in an educational program to deter would-be pirates, and punish them if necessary. Both believe that Australia needs a three-strikes style system to deter online infringement, ending in Internet throttling for the most persistent infringers. However, if current indications are anything to go by, there is a lot of work still to be done before all parties are on the same page. Whether consensus will be reached voluntarily of by force remains to be seen.